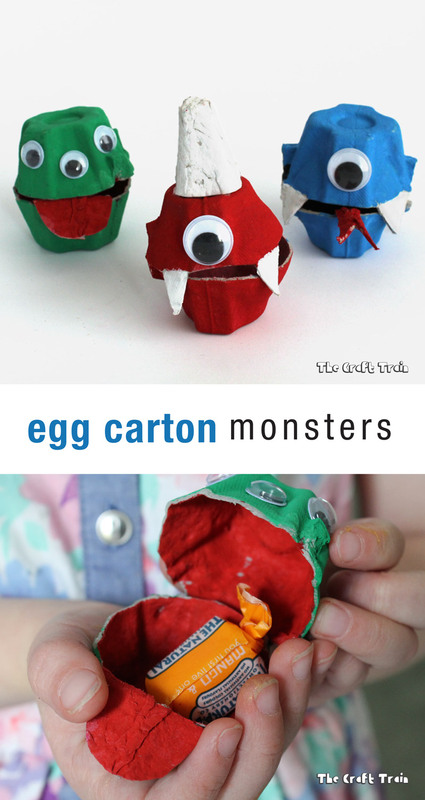 Here are some egg carton monsters kids will love! 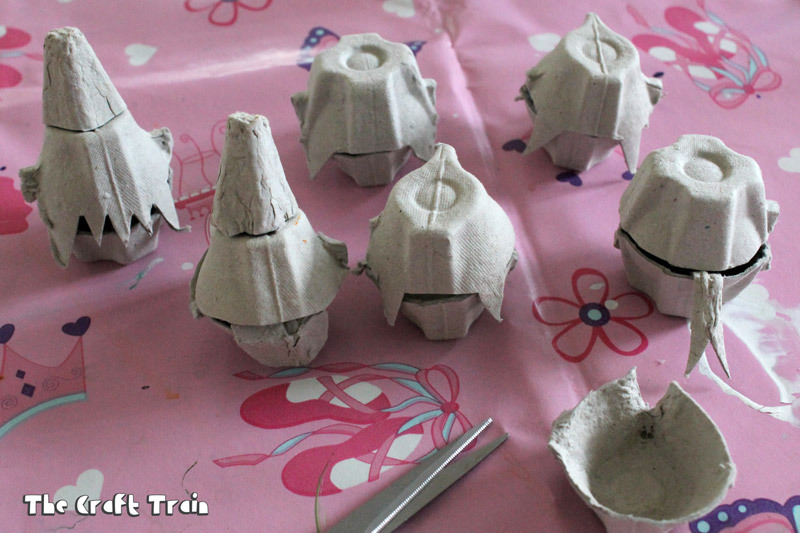 Do you love egg carton crafts? 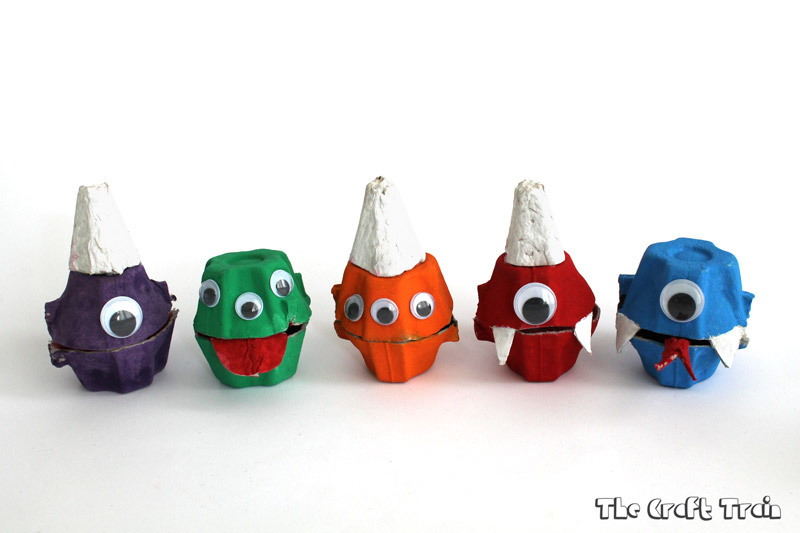 I do because there is something about repurposing rubbish that makes me happy, especially if the end product is a cute little monster. 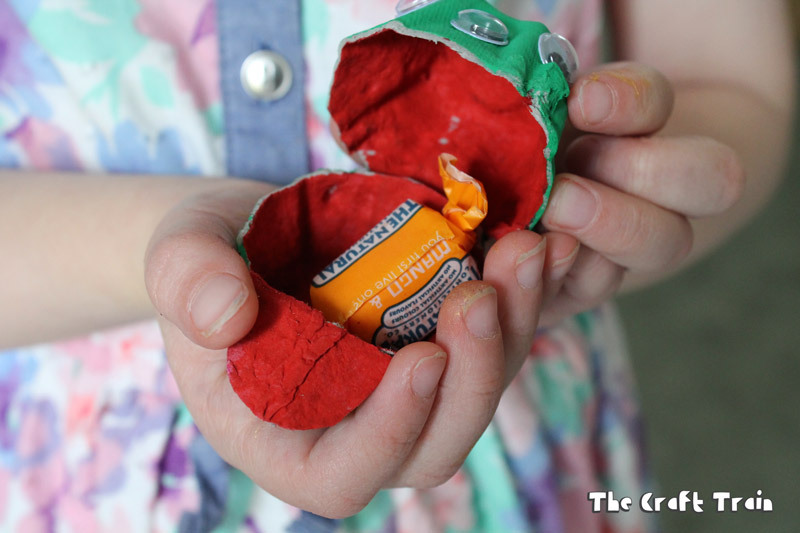 I call this craft a ‘treat holder’ but in saying that the treats they hold are very tiny (which is a plus for us parents, am I right?). 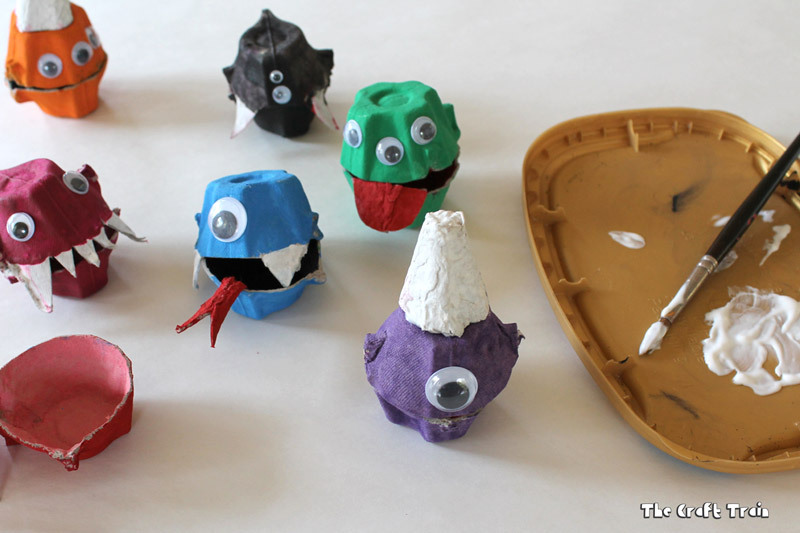 We made a few of them and then I hid a small treat in each one and hid them around the garden so that the girls could have a fun monster treasure hunt, which they loved! They also make fun Halloween decorations. 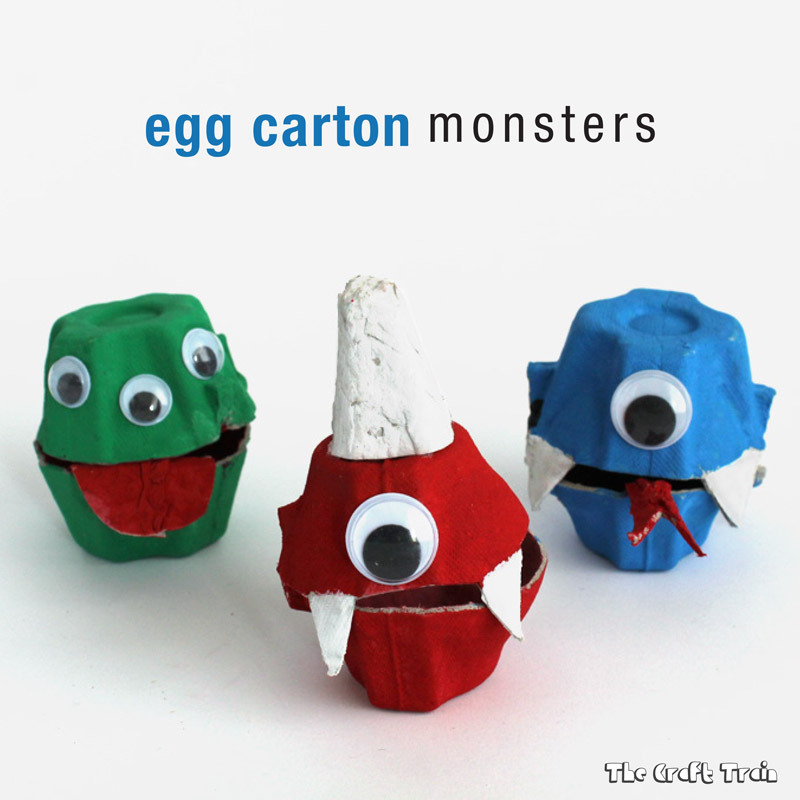 Our egg carton monsters are friendly and only eat sweets, not people! Don’t you think they are cute? • These halloween suncatchers look so colourful! • Our egg carton black cat costume looks so cute on Miss K!